Can you believe it? Easter is on Sunday! Hasn't this spring has been a whirlwind? or is it just me? Well, I have been super busy, between furniture projects with my husband, finishing up Emmie's big girl room, midterm grading, and lots of sewing projects! But now I'm feeling super accomplished, with these sweet dresses hot off the press. 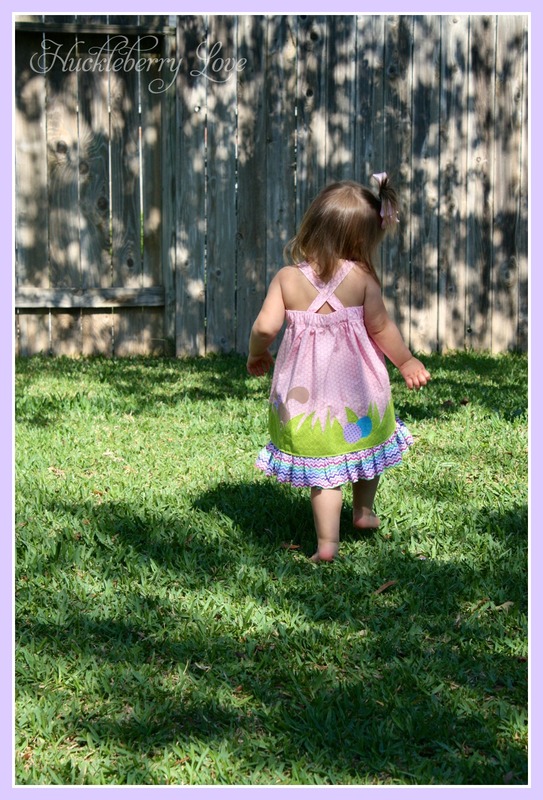 I love sewing, and while I enjoyed making these super cute dresses, they required a lot of breaks for me. One evening I would work on them a lot, and the next few days they would be neglected. Can you say holy applique?!? I finally sat down and finished them last week. Anyways, I am so so happy with the results! They turned out beautifully, and the girls' smiles made it all worthwhile! My friend actually told me about this sweet pattern on Etsy. 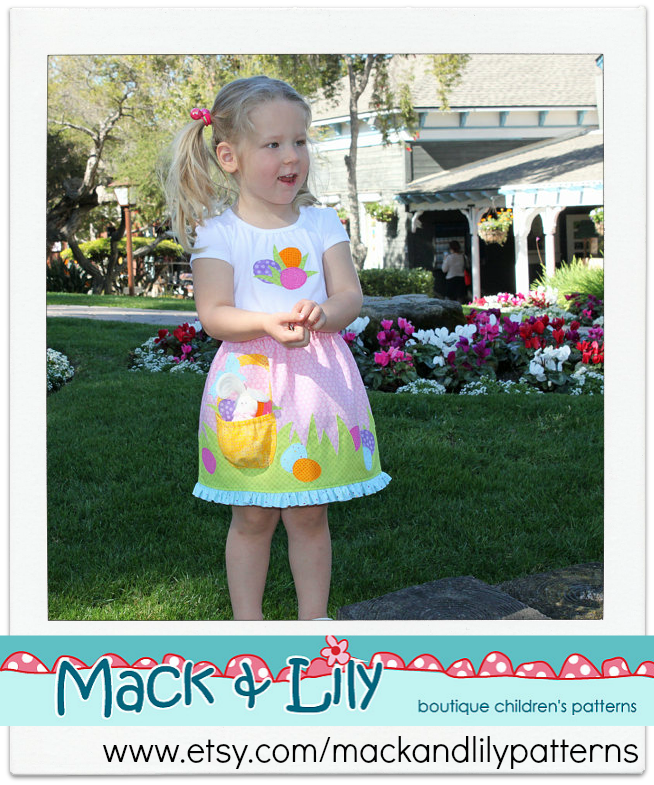 It's by Mack and Lily Patterns, a really cute shop focused on easy-to-make patterns that are great starting points to creating your own designs. As you can see, it turned out to be just that! 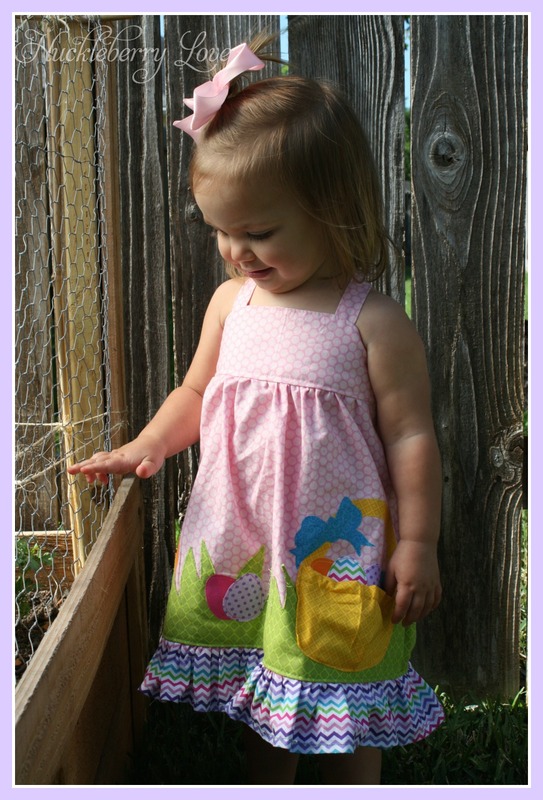 I ended up combining a simplicity pattern (that I had on hand) with the Mack and Lily skirt, to make a dress. The tutorial on fluffy ruffles was awesome, as well as the tips on applique. I'm saving the info on the ruffler foot, which I hope to purchase in the very near future! (Yes, I'm still basting and gathering, am I the only one left?) The pattern was very clear and well written, so I have a feeling that using it as a tutorial for the ruffler will be a breeze. 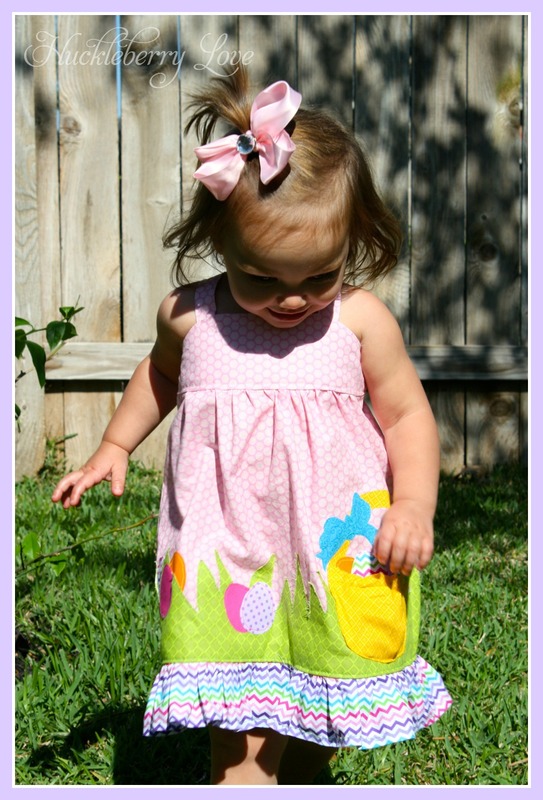 And just for the super cute and whimsical ideas in this skirt, the pattern was well worth it. I mean, an easter basket as a pocket? So adorable! 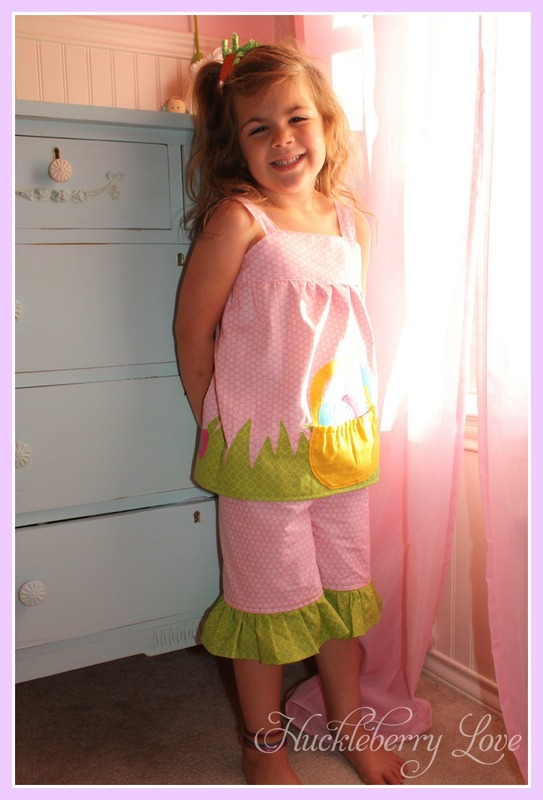 I loved it as a skirt, but knowing how my girl's aren't fond of tucked in shirts, and one- pieces are just a bit easier with potty trianing, I went the dress route for miss Emmie. And I'm so glad I did! I actually turned one into a swing top for Ella. Although she was bummed about not having a dress, she is now very excited to wear it with matching ruffle pants to her school easter party. I'm praying for no stains!!! What does the Easter bunny fill your little one's baskets with? Beautiful outfits. Love the appliqué!!! 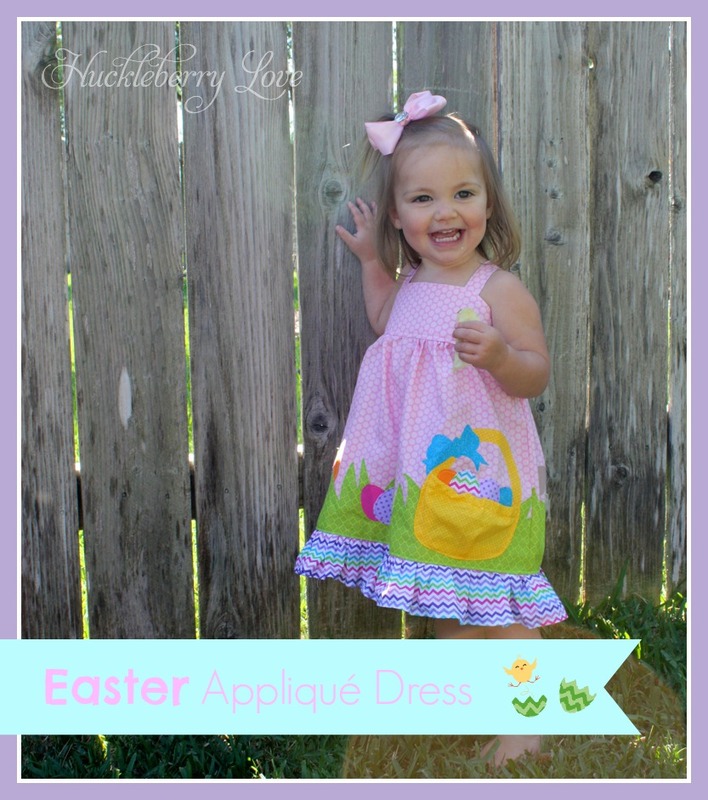 Oh how I want one of these precious dresses for my little Tootsie! 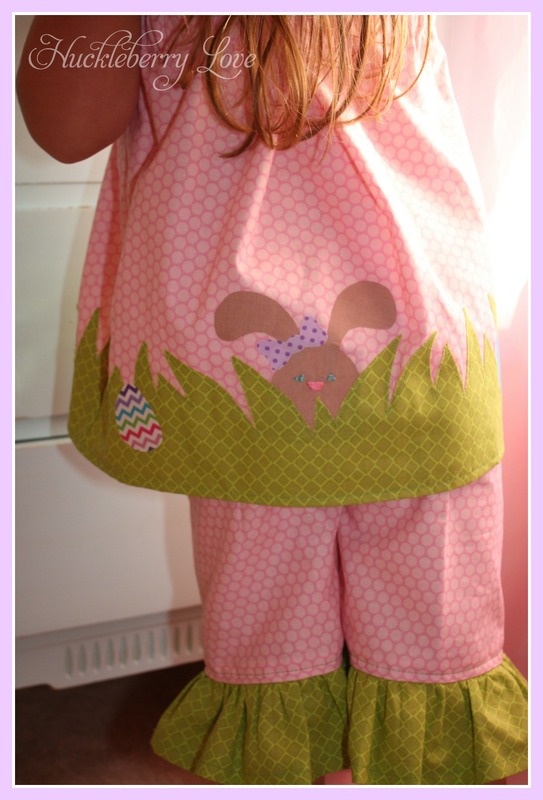 What adorable little outfits....I love how you adapted the Bunny Skirt pattern ! Let me know how you like your ruffler attachment. 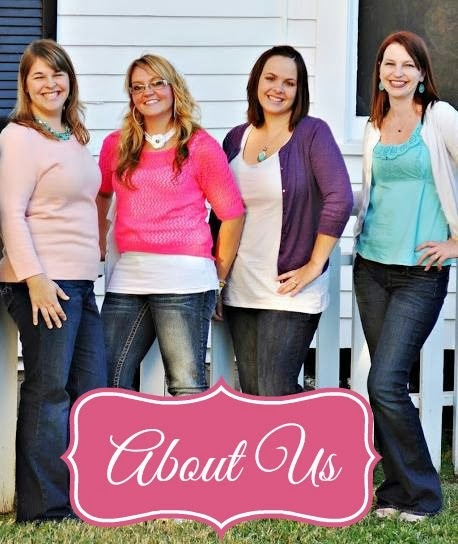 I think you will love it....I expect to see yards of fluffy ruffles on everything you make!